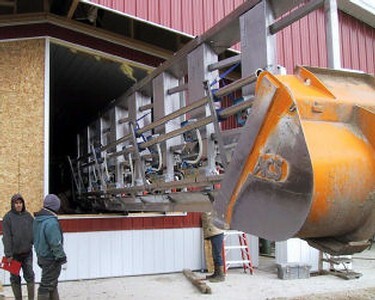 Need a more economical way to upgrade your dairy? 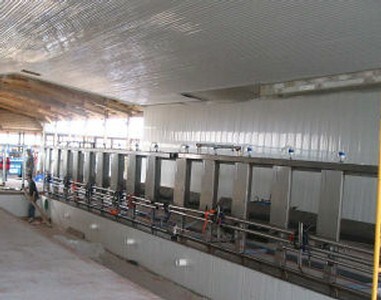 TechForAg also offers used milking parlors. 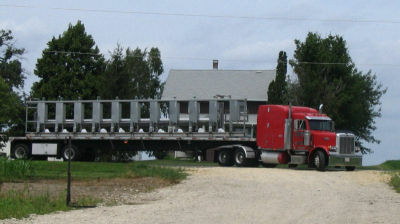 Used dairy parlors are purchased by TFA (preferably the all-stainless models built originally by Germania Dairy Automation), dismantled on site and transported to Rhinelander, WI where they are remanufactured and reprocessed. 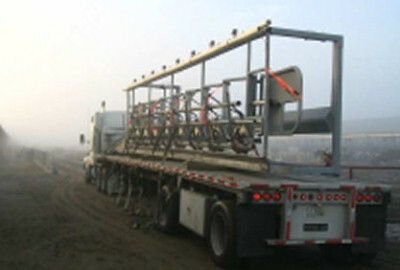 Modular milking parlors are pre-assembled in our factory (no different than corn choppers, tractors and combines ), under roof, assembly-line fashion by trained craftsmen who are specialists for each sub-system - Stalls, Pipe Lines, CIP/Receiver Groups, Compressed Air/Vacuum Groups, Pulsation Systems, etc. Completed Modules are tested and checked out with a 95 point Quality Control Checklist (Our original Final Quality Control Procedures at Germania) with the system under vacuum, supplied with water and compressed air. Modulars drastically reduce on-site installation time and therefore cost, while improving overall quality and consistency. Modular parlors can be completed in any form or combination. Stalls only or with all systems in place. Rolf Reisgies, General Manager for TechForAg is the original founder and owner of Germania Dairy Automation. Rolf has called upon his years of experience within the milking industry to assist with the design and development of new milking parlor equipment produced by TFA . 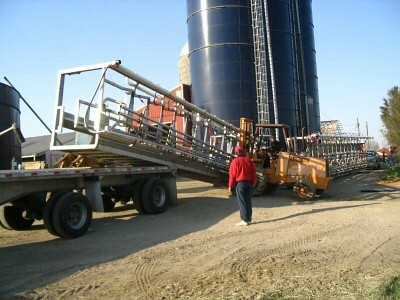 The company is manufacturing state-of-the-art milking equipment and products that helps the dairy operator realize a better return on investment. 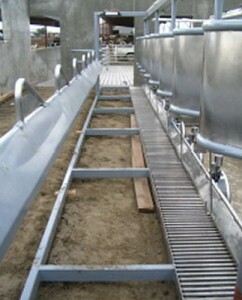 Milking equipment built to the highest dairy industry standards. Reconditioned milking parlors are a cost effective alternative to new dairy parlors. 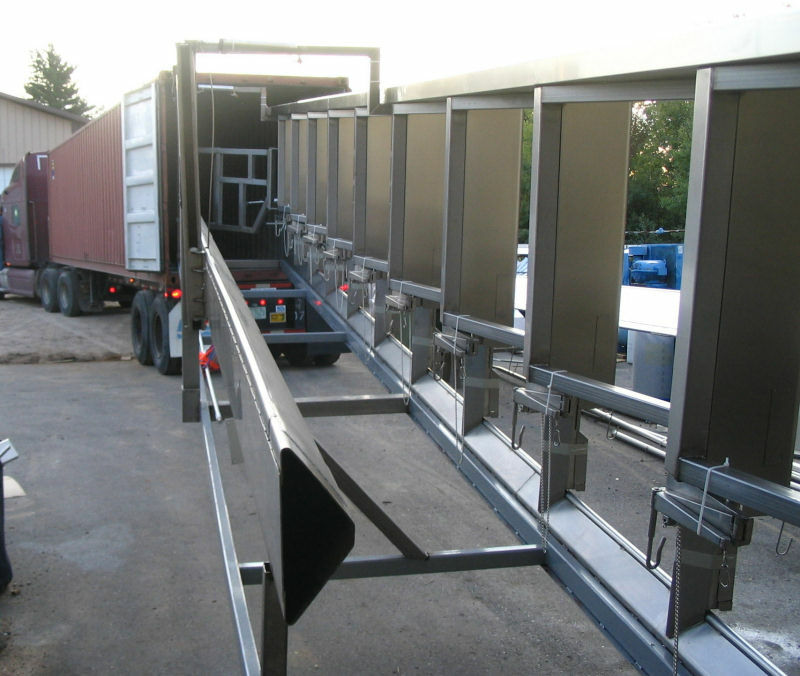 Dairy Equipment – Milking parlors, reconditioned and new are available from TechForAg. 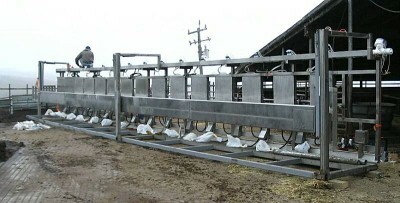 Top quality equipment for all dairy needs from one of the top experts in the industry. All used milking parlors are complete and refurbished to stringent standards providing a cost effective method of upgrading your dairy equipment. Click any photo for larger photos and descriptions. 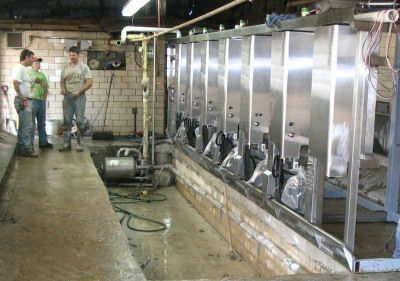 New and used milking equipment - Milking parlors, reconditioned Germania parlors and dairy equipment. 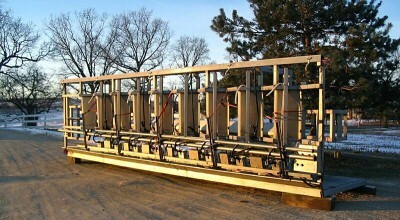 * TFA offers both new and refurbished milking equipment. * The cost of adding or replacing dairy equipment using pre-owned, reconditioned dairy milking parlors is thousands of dollars less, making this the most cost effective way to upgrade your current milking operation. * All-Stainless parlors are built to the exact specifications of our customers. 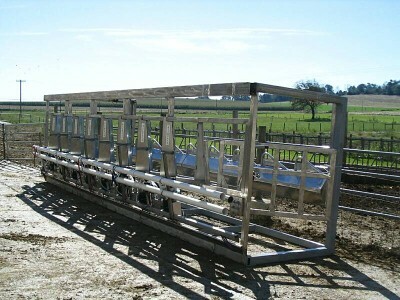 * Your current dairy parlor equipment is replaced with no down time. 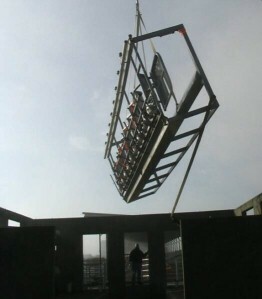 Installation of new milking equipment is completed within 36 hours. See how it's done. 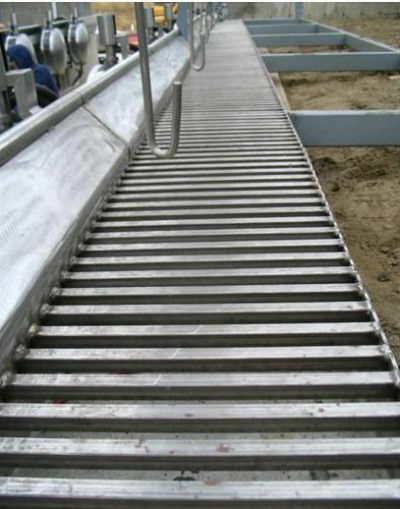 * Whether you purchase new or used, refurbished dairy equipment it is backed by the TechForAg guarantee. You can order the original DVDs at no charge. They are of appreciably better quality than the online copies. Visit Parlor Stalls for Sale for the newest milking parlors in our inventory.